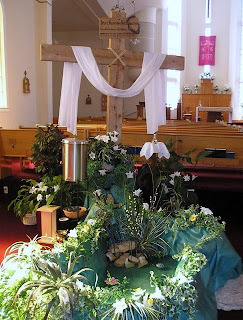 The role of those who prepare the liturgical décor in our churches is often thought of as simply decorating the worship space and making it attractive. The Ministry of Liturgical Environment goes far beyond this; it is about enabling the assembly to worship God in spirit and in truth and to draw them into something that is religiously transformative. Providing places for worship that are appealing and worthy opens up the possibility of God touching people through the experience of beauty. This group needs extra help on special feasts such as Christmas and Easter. Also, others are involved in tending the flower gardens on the Church premises. 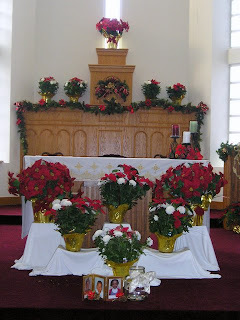 If you would like to help out with Church Décor please contact us.